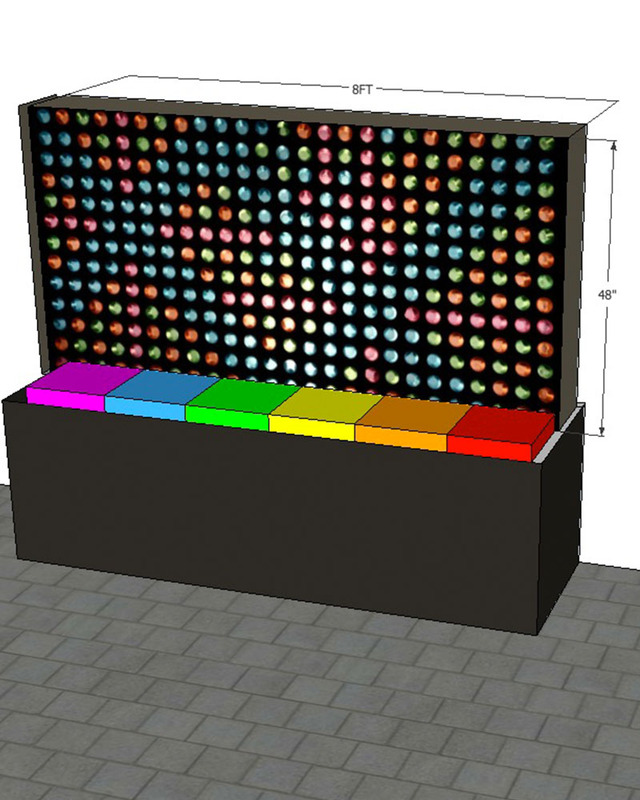 PixelPegs is a 8ft wide by 4ft tall illuminated wall with thousands of round holes to be used with our colored pegs. Guests can walk right up and start designing their masterpiece! It's perfect for groups and the idea is that it will be a "living work" for the course of your event. An interactive staff member to accompany the wall and assist to creating new works of art alongside your guests. The kick off the event, we can create a design with your client's name or logo. Once guests arrive an have a chance to take a photo with the wall, we can open it up for creative interaction with your guests for the remainder of the evening. This corporate clients wanted us to turn their logo into a peg design for their event aboard the USS Midway aircraft carrier which is now a floating museum in San Diego, CA.